Praise: I am so thankful for the patience of God. I am slow to hear and learn, but yet He lovingly instructs and guides. “Zapping” is not His first choice of correction. Ponderings: I am going out on a limb here. What I have been pondering for a long time is not popular. Let me start with a bit of a personal testimony. When #1 was born, we lived in a rural setting. We attended a small church. We loved it. I was so excited to have our little busy bundle in my life. There were moments of uncertainty for sure, but I was not overwhelmed with fear and not overly concerned that I was doing things wrong. If I didn’t know something, I asked an older lady or called my mom. When we arrived at church, I was encouraged along my path of motherhood. Ladies would stop me in the hallway to speak words of kindness to me. These words bolstered my resolve to keep going, even in my tiredness. Fast forward a few months. We moved to a new location. I found out in our new church that I was doing EVERYTHING wrong. My child was not sleeping through the night. My child was not feeding the correct length of time on each side. My child was feeding too often. My child was not napping at the appropriate times. Suddenly, I was filled with fear that I was ruining my child. Not long after, child #2 was on her way. I resolved to do it right. I started to read the right books. You know, the ones that lay out exactly how you are to do things. If you do them, you are guaranteed to have the perfect child (or so it sounds). Guess what, it didn’t work for me. I was overwhelmed. I felt horrible. I was embarrassed to talk to other young moms. I was embarrassed to admit that my kid didn’t fit the approved mold. When I did try to share my struggles, I was reminded that it was my own fault that my kids were not sleeping through the night. Everyone else’s kids were. So why am I sharing this? Because I have talked with many, many other moms in the same boat I was in, with the same fear of messing up their kids. They tell me they feel like they can’t talk to others without being judged for not being on a schedule or letting their toddler climb in bed with them. They apologize for their child’s behavior as if I expect the little sinner to be perfect at age 2. They tell me they have come up with answers to questions about sleeping and schedules that makes the hearer believe that their kid is on a schedule and sleeping beautifully, when in reality he/she isn’t. The moms aren’t lying, they just answer in a way that satisfies the hearer. My heart aches for them. Often, I want to hug them and let them know that I understand. How have we become a group of judging people, when we should be encouraging one another? We should be directing each other to the Word of God, not some other book. Books can be helpful, but only to explain and reiterate Bible passages from which the concepts are drawn. Did you ever wonder why there are no instructions on how often to feed, where to let your kid sleep, etc. in the Scriptures? Could it be that we are all different with different temperaments and needs? 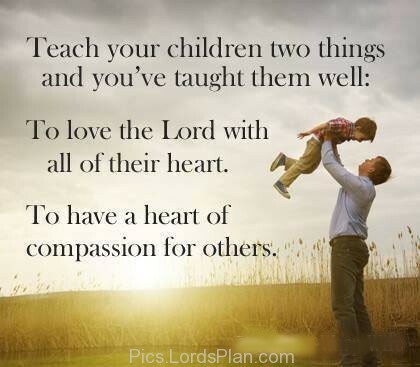 What God’s Word tells us about parenting is to teach our children to love God. Teach them to love others. Dwell with your husband as one. Both parents are to be involved in the training process. Your husband may see things differently than your lady friends/fellow moms. Ladies, when you do share your personal experience with another mom, be quick to say “it worked for me, but everyone/every family is different.” Share the verses you base your philosophies on when you share your advice. You don’t have a verse? Maybe you should re-examine your methodology. I realize there are family rules that must be made that have no command in Scripture, but these need to be expressed as opinions when being shared with others. Fellow moms, God gave you your kids to parent. He did not give them to someone else, because He wanted you to bring them up the way He designed you and your husband to guide and direct. I am by no means an authority on parenting, but I firmly believe this judging needs to stop. On the flip side, moms also need to stop comparing themselves and their children to others. It breeds fear and discontentment. How can we bear one another’s burdens if people are too afraid to share them? I am still learning, but by God’s grace, most days I don’t worry about what others think of my methodology any longer. It’s freeing to be able to run to the Word of God and my partner in this adventure for answers and solutions and not some new book. 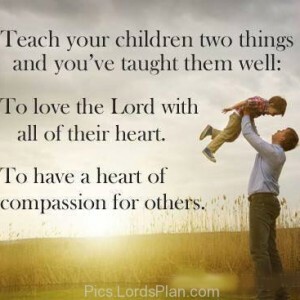 God’s Word doesn’t change, popular parenting advice does. As a visual, I came across this picture about the time that I realized I didn’t have to meet the approval of others. It is constantly in my mind. I hope it encourages you, too. We roll our eyes at the whole YouTube video with the gal with the nail in her head. She doesn’t want to resolve her problem, she just wants to talk about it. However, there is some about of truth in that as we (especially as women) walk through the many stages of our life. Sometimes all we need is to see a friendly face that gives us a hug as says “You are doing a great job! And it is gets easier!”. Save the advice for when you are asked and always offer encouragement. When we moved to our house in South Bend, God blessed us with an older couple that lived directly across the street and we both ended up attending the same church. She was SUCH a blessing to me as a young mom as she just loved on my kids. She wouldn’t them them “run over” her (sometimes quite literally)…but she let them be the little kids that they are with imperfect manners, imperfect behavior, etc. I could just relax around her…and I found myself reminded through her loving on my kids to just enjoy the joy of my children at their current stage. Her blessing to me is one I hope I can continue to pass on to other women as I encounter them in their different stages of seemingly constant transition. I agree! Bless you, friend. You claim no expertise, but how many kids do you have? Spot on! Thank for you sharing this.